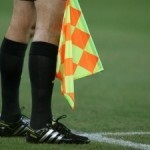 Juventus had the luxury of seeing the lead extended even after the most challenging Serie A game of the early part of the season where they stared down the abyss for a long stretch, but Cristiano Ronaldo and his nose for the goal snatched a point away from the jaws of defeat, and then Kwadwo Asamoah and Lautaro Martinez did the Old Lady a favour by stopping Napoli. It was a weird match all around, as the first goal came so easily that the squad did not feel too compelled to go for the killshot, but Atalanta’s confidence grew and grew, until Duvan Zapata left Leonardo Bonucci in his track for the equalizer. The red card to Rodrigo Bentancur early in the second half made it go completely off the rails, but, similarly to the Napoli clash where the guys looked shook after a poor start, Ronaldo carried them out of the hole. Giorgio Chiellini played a role in that too with some galvanizing blocks and slides in the back. The goal was obviously huge, but even more important was injecting the confidence that coming back was still possible despite what went down. Not many teams play with a high offside trap like Atalanta’s one, so the trick will not work out most of the times and he is better off on the left flank, but he was a real menace as centre-forward always challenging the line. In hindsight, trotting out a line-up without both the Portuguese ace and Miralem Pjanic was a huge gamble, considering that also Joao Cancelo is out. Down three gigantic reference points, the team leaned on Paulo Dybala and Leonardo Bonucci, but it was too little to be efficient. Emre Can and Rodrigo Bentancur can take care of a little bit of playmaking, but they perform way better alongside the Bosnian metronome, as the German international showed with some more room to operate in the second half. Perhaps it is better to use a more offensive scheme, completely revamping the game plan, when Pjanic does not start. In this case, it would have been difficult to do with Federico Bernardeschi, Juan Cuadrado and Moise Kean all on the mend. Hopefully, the decision to rest the two linchpins will pay off in the weekend, because it truly put the team at a disadvantage in the boxing day. 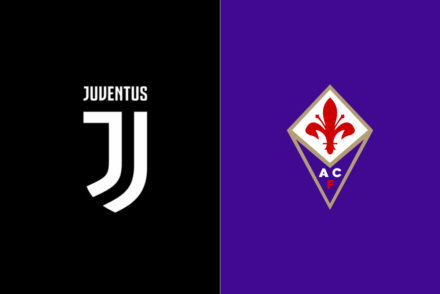 For the final game of the year, Massimiliano Allegri will have a larger roster at his disposal as Blaise Matuidi and Medhi Benatia are back after shaking off some illnesses and even Federico Bernardeschi has been called up and could be used in limited fashion. Daniele Rugani has been announced as a starter over Leonardo Bonucci and it is not far-fetched to think he will team up with Benatia, it depends on Chiellini’s condition. Leonardo Spinazzola might replace Alex Sandro, who has logged heavy minutes so far: they are neck-and-neck at left back. Sami Khedira will be back to the bench and he did not look good at all in Bergamo, he is still ways away form-wise. After having his game cut short midweek, Douglas Costas has a chance to supplant one between Dybala and Mario Mandzukic. Juventus announced today that, contrary to the initial decision, Juan Cuadrado underwent sugery for a meniscus problem and a cartilage lesion in the left knee. He is rumoured to be out for three months. Obviously he is no longer as devastating as in the past, but he is a good soldier and plugged some holes in three different roles with decent returns. Hopefully players like Mattia De Sciglio, Can and Bernardeschi can stay healthy so his loss will not be felt. It is safe to say that Spinazzola will not be going anywhere in January now. 4-3-3: Szczesny; De Sciglio, Rugani, Chiellini, Sandro; Can, Pjanic, Matuidi; Dybala, Mandzukic, Ronaldo. Cancelo (knee), Barzagli (quad), Cuadrado (knee). 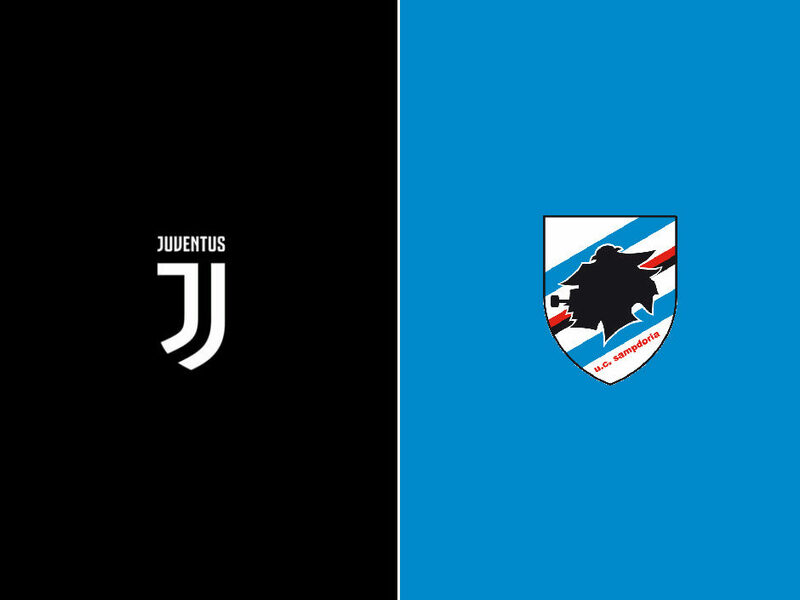 Sampdoria are streaky one way or the other and unfortunately for Juventus their arrow is pointing up in the last few games, as they won in three of the last four and have been undefeated for six fixtures. They are certainly better at home, but they have been able to pick up some wins on the road as well, in Frosinone, Bergamo and Empoli. The two seasons under Marco Giampaolo have been similar, as they have been able to go on a pair of hot stretches and compete with the best of them, while when they are cold they are very beatable. They finished 10th in the 2017 and 2018 and faltered late in both occasions, so it will be interesting to see whether they will finally decide to make a strong push to grab a Europa League this year. It is that kind of inconsistency that sometimes you get out of a technical squad, which can produce at will on its day, but could have trouble getting off the mat when pushed around. They built a deeper squad with a pair of selected reinforcements that enhanced their quality, especially in the front-line. Gregoire Defrel got off to a blazing start and he can test any defense with his speed and finishing skills, but he is a slump. Gianluca Caprari has outplayed him in the last two months, but he is generally better off the bench, so the Frenchman could get a token start. Having both Riccardo Saponara and Gaston Ramirez has weirdly elevated the play of both, even though they are stuck in a timeshare. They have both bagged some absolute gemss and either can change the game coming in. Two very elegant players that have gone through some injury and continuity issues in the past, but they are putting together a solid season and they are tailor-made to play in the hole in this scheme, as they knit the play perfectly and are good shooters too. While Jakub Jankto from Udinese has been a bust thus far, Dennis Praet and Karol Linetty keep being very reliable contributors. Giampaolo has tried to expand the Belgian’s range, experimenting with him as pivot or as trequartista, but his ideal position is box-to-box. 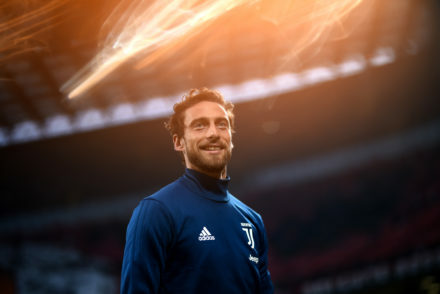 You may remember that Juventus were after him for quite some time: he is no longer a young prospect, he is 24, and probably will not turn into a top-notch player, but you could certainly do worst with your fifth or sixth guy in the midfield. Linetty is more of a quantity player and in that role and he makes up for the absence of Edgar Barreto, while Albin Ekdal, albeit not as flashy as Lucas Torreira, is a good distributor. Their back-line was very stout to open the season, then they fell off a cliff, even though they have some real talent there, especially in Emil Audero and Joachim Andersen, who is no Milan Skriniar but could become a great defender. Bartosz Bereszynski is out with a muscular injury, so it will be Jacopo Sala manning the right flank, while Nicola Murru, who has had a resurgence this year, will play on the opposite flank. A pair of solid fullback who can do some damage on offense and Murru has had three assists in the last two games. Andersen is suspended: they have generally alternated Omar Colley and Lorenzo Tonelli, who are both physical, while Andersen is more of a finess player. They should both draw the start, or they could opt for Alex Ferrari, who has not gotten much playing time thus far. Saving the best for last, Fabio Quagliarella has been nothing short of amazing thus far and he has score a goal in eight consecutive matches, which is some stuff of legends in Serie A. Like a fine wine, he has gotten better as he aged and he is so unpredictable and can hurt you in so many ways. There were some rumours he might even move to Milan in January, but he squashed them with a contract renewal. The Blucerchiati always try to execute their game plan, because sitting back is not in their DNA nor a strong suit, and they can pull the strings most of the time with so many good ball-handlers. However, they could struggle when forced to defend and they are not a great counter-attacking team, even though Defrel or Caprari help them in that area. 4-3-1-2: Audero; Sala, Colley, Tonelli, Murru; Linetty, Ekdal, Praet; Ramirez; Quagliarella, Caprari. Bereszynski (thigh), Barreto (thigh), Regini (knee).